Every wonder how to make a pie crust or how to make paper flowers? Well… their secret might just be Creativebug. With over 600 classes to select from, you will can find projects not only for your wedding, but projects that are useful for your everyday life as well. 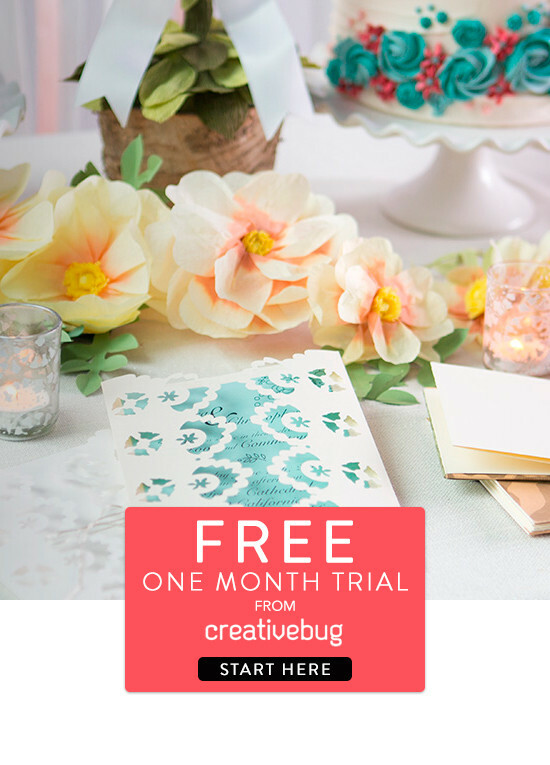 First month free using the code WEDDINGCHICKS to explore as many projects as you want. Click here to start.